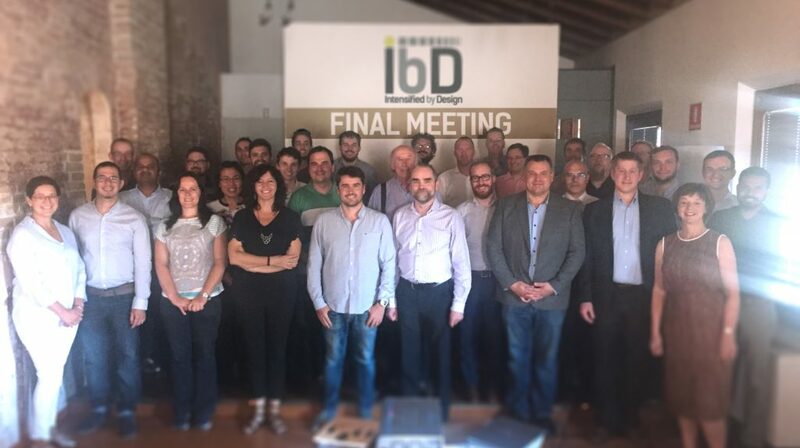 The IbD consortium is having the final project meeting in Treviso, Italy on 17 and 18 September 2018. In the last months of the Project, the IbD platform has been finalised and a set of case studies has been developed, demonstrating the benefits of process intensification for solids handling applications in different process industry sectors. The IbD platform aims to be a comprehensive working environment that assists the Process Intensification (PI) designer along each stage by providing the most frequent or specific tools in one unique user interface. The PI designer tool is based in eight basic steps: Flow sheeting, Mass/Energy balance, Environmental Performance (containing Life Cycle Assessment – LCA), Knowledge-based Engineering approach (KBE), Process Intensification modules (PIM), Simulations, Optimization and the Theory of Inventive Problem Solving (TRIZ). The IbD platform will soon be available on the IbD website. The Process Intensification case studies are available here.